this weekend we worked the national tour of the broadway musical spamalot when it came to town. we both worked the load in, ryan had show call and ran spot light for all five shows, and we both worked the load out. since we drove together to the load in on friday, i stayed at the theatre to see the show on friday night and bought myself a cheap ticket way up in the balcony. 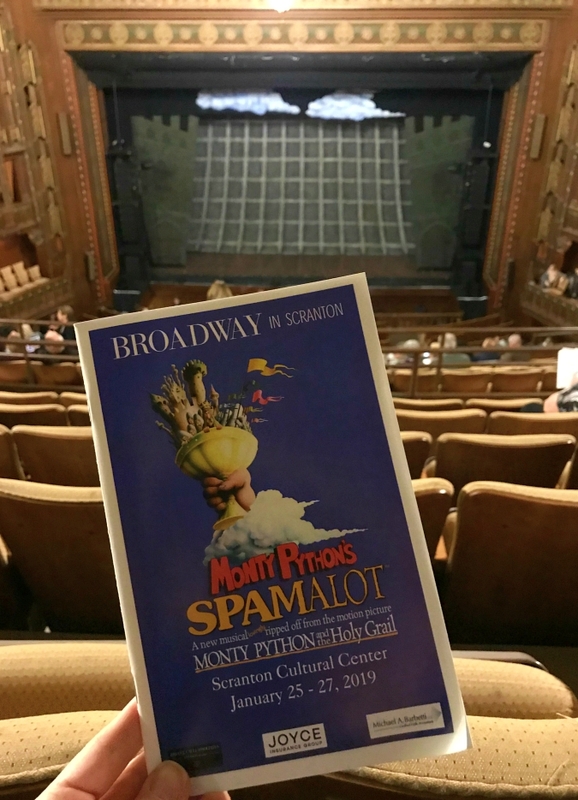 spamalot is one of the few musicals that we have never seen, so it was nice to finally get a chance to see it. That is a show that I would have liked to see if this weekend wasn't so busy.